CNN reveals satellite images showing North Korea has significantly expanded the Yeongjeo-dong missile base. New satellite images obtained by CNN reveal that North Korea has significantly expanded a key long-range missile base located in the mountainous interior of the country. 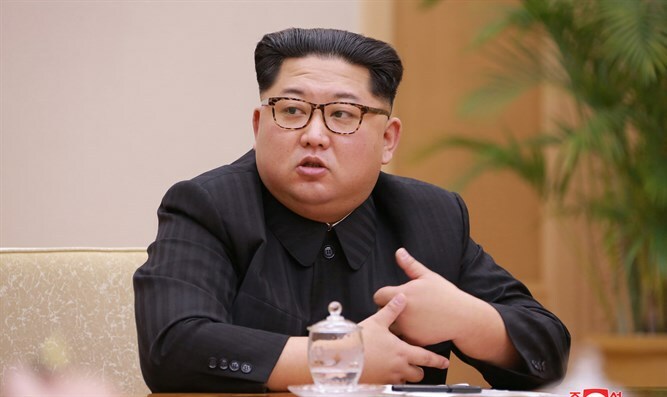 The satellite imagery, presented by the network on Wednesday, offers evidence that the Yeongjeo-dong missile base and a nearby, previously unreported site remain active and have been continuously upgraded. The images indicate that North Korea was building an extremely large underground facility in 2017 and that this facility was still under construction as of August 2018, according to CNN. The report comes as contacts continue between the US and North Korea on denuclearization. Last week, Trump said he hoped to organize a follow-up meeting with Kim for early 2019. "We're getting along very well. We have a good relationship," he said. Asked if he would ever host the North Korean leader in the United States, Trump replied, "At some point, yeah." Responding to the satellite images, Pentagon spokesperson Lt. Col. Chris Logan told CNN, "We watch North Korea very closely. We continue to support the diplomatic process. We will not discuss matters of intelligence." The State Department declined to comment, saying it does not discuss intelligence matters.